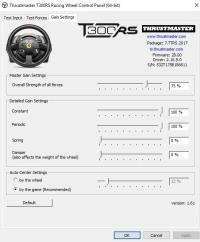 Can anyone recommend some decent wheel settings for Thrustmaster T500? Wondering if it might be worth waiting until the new AC comes out though if that will have full weather effects and such. they had a killer deal on steam last week i got the full pack for $20. Havent used it ye so no idea about the game. 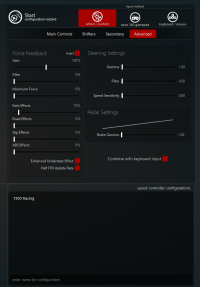 Heres my settings im using for the t300 should be pretty similar. You need to get an app called FFB clip this will automatically adjust your FFB to prevent clipping. I'm putting together a little download pack of what I think the necessary starter Apps are for AC. I've now uploaded the AC APP pack found in the download section. I think the new ACC will be GT3 only though, isn't it? Edit: sorry, did not quote the original text, my post was intended as a reply to Andy Bonar's OP.